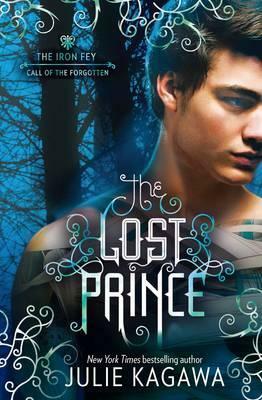 Today I’m happy to share an exclusive interview with the amazing Julie Kagawa with you, to celebrate the release of The Lost Prince, the first book in the Call of the Forgotten series. This series forms a sequel series to The Iron Fey, and follows Meghan’s brother Ethan in an all new adventure. 1. Did you always intend to write a story from Ethan’s point of view? If not, when did you realize that he has a story to tell? I didn’t really think about doing a story about Ethan until I was finishing up The Iron Knight, and I realized the Iron Fey series had really come to an end. That Meghan and Ash’s story was done. That I had to say goodbye to the Iron Fey and the Nevernever, and all the characters I’d come to love. Where did I go from there? Then I thought about Ethan, the brother left behind, the boy who could see the fey all his life. How would being kidnapped by faeries affect him? What kind of person would he grow into, constantly tormented by creatures no one else could see? And I realized Ethan’s story wasn’t over, but just beginning, and that the Nevernever wasn’t ready to say goodbye just yet. 2. Ethan’s voice is very different from that of his sister. Did you have to change your writing process to reflect that? For example, did you write in a different location, listen to different music? I did listen to a lot of Skillet and My Chemical Romance when writing Ethan’s book. Other than that, I knew Ethan was a brooding, troubled, angry young man who really missed his sister and blamed the fey for her abandonment. His voice came out really strong from the first line, so from there it was fairly easy to slip into his head. 3. Could you say a few words about writing Keirran? Keirran, in particular, was a bit of a challenge. Because of his infamous father (which I won’t name in an attempt to avoid spoilers), I wanted him to be different, be his own person. And Ethan already had the “angry and brooding” thing down pat, so Keirran had to be interesting without resorting to angst. Readers of the original series might be disappointed that he isn’t like his dad, but that’s the point; Keirran is not his father. But he does hold a special place in my heart because of his background, and his friendship with Ethan will take many twists and turns before the story is done. 4. Grimalkin is one of my favourite characters. He’s exactly how I imagine cats would be if they could talk! What’s the most bizarre or interesting thing you’ve seen a cat do? Grim himself would scoff mightily at this, but I’ve actually trained my own cat to roll over, wave, and sit up on command. Of course, “on command” only works if there’s food involved. And he feels like doing it. Sometimes he yawns at me and walks away, very Grim-like. 5. If you choose any three books to give to Ethan, to help him during the events of The Lost Prince, which would you choose? Thank you very much to Julie for taking the time to answer these questions! Look out for my review of The Lost Prince later this week!